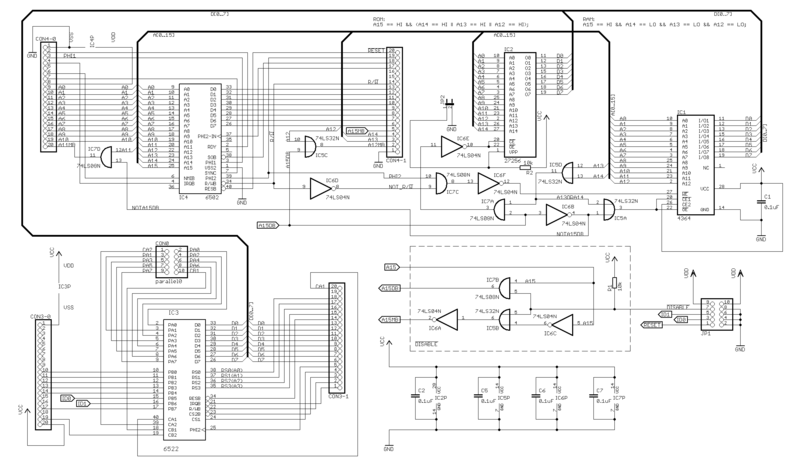 With the most important schematic change out of the way I moved on to laying the new board out, introducing the changes I had in mind for some time. I re-routed the whole PCB from scratch, increased both signal and power tracks widths and grouped all (or so I initially thought) jumpers into one jumper block on the lower right corner of the routing area. 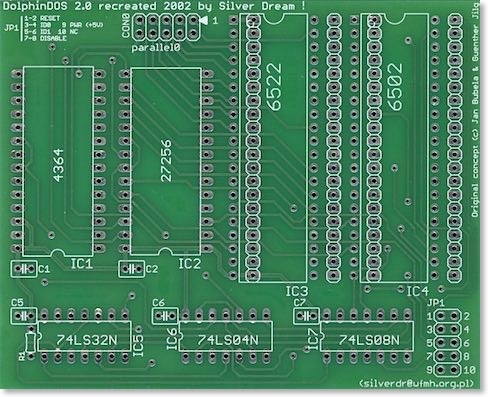 After numerous rounds of routing, optimising and polishing the layout, when I was basically ready, I got several, virtually simultaneous requests from people who wanted to run another DOS (either SpeedDOS or Jiffy DOS) with my boards. I promised them I'll try to introduce this possibility to the new design. 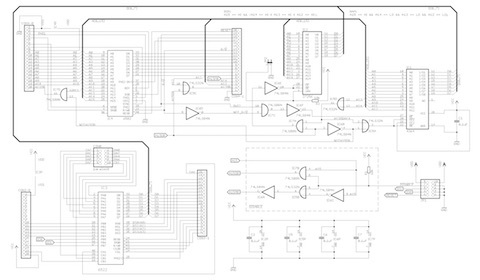 I quickly added the requested option to the schematic but I didn't feel like re-routing the board again in order to place the additional jumper together with all the other, I just successfully grouped. So, please bear with me, will you? 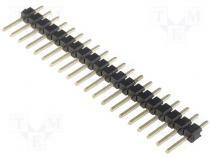 CON4-0 and CON4-1 are 20-pin pinheads, which I use for connecting to the main controller board’s 6502 soldering pads. CON3-0 and CON3-1 do the same for the 6522 VIA. I use "goldpin" type of connectors for them. If you plan to use the same, please note that the pins need to be kept straight when mounting. 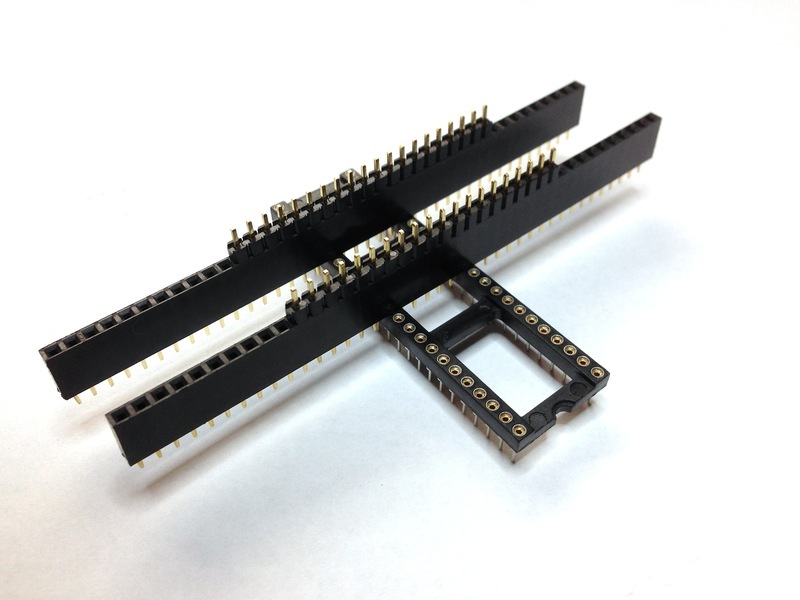 I myself use socket constructions to keep the strips straight and aligned when soldering. For this revision I dropped the idea of reduced drills diameters I used in the previous revision. It worked well for me and most of the others but not for everyone. Care has to be taken when mounting the hardware inside the drive in order to make it sit low and fit properly inside the drive’s case, yet remain elevated above the level of other elements on the controller’s main board! Pin "1" of the parallel connector is marked with a pointing triangle on the PCB. This means that if your cable is correctly built and has one wire marked as wire #1, the notches will force it to become wire #10 rather than #1 if you use a regular socket. Therefore – for now – it is probably best to use a right-angled pinhead strip rather than a full socket. Once upon a time, my good old friend (enemy? :-) Jemasoft wanted to borrow my original (bought directly from Jan Bubela himself!) 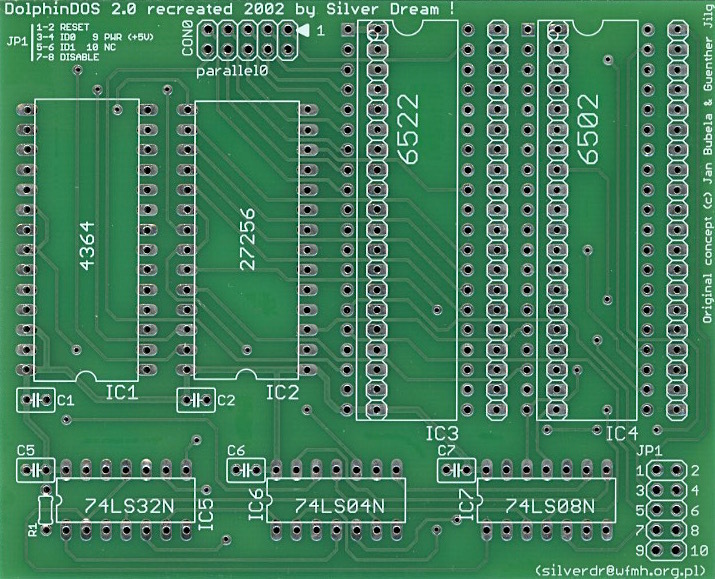 DolphinDOS V2 board in order to make a copy for his drive. I lent it to him but according to my best knowledge, although he captured the schematics, he never actually built the hardware in the end. However, after getting my board back, I found out that it no longer worked reliably. It seems that the dis/reassembly Jemasoft did, left some traces or solder points unstable. In order to find out the damage, I needed to disassemble everything again. I eventually found the cause but instead of fixing and reassembling it back I decided to use the opportunity to make a new version and design myself.